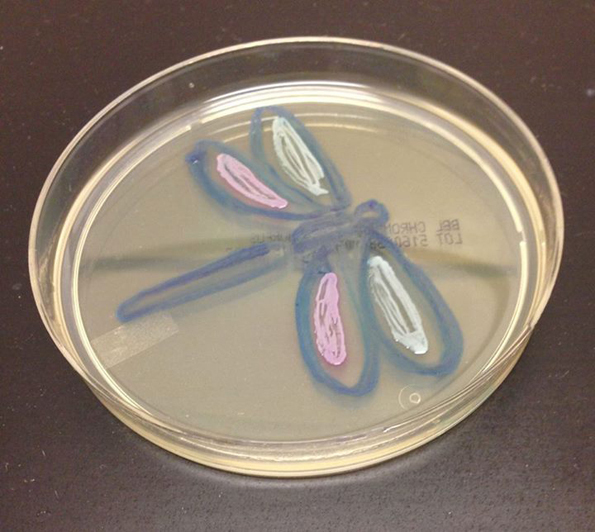 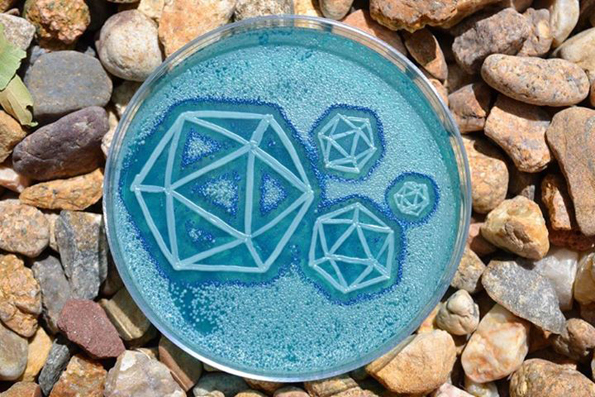 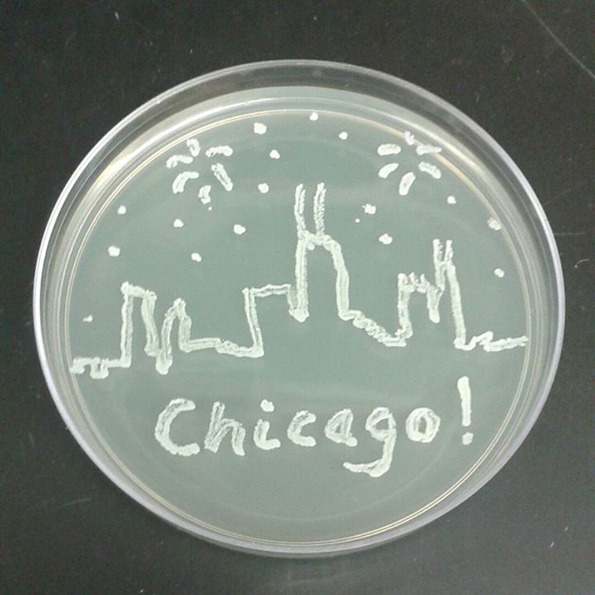 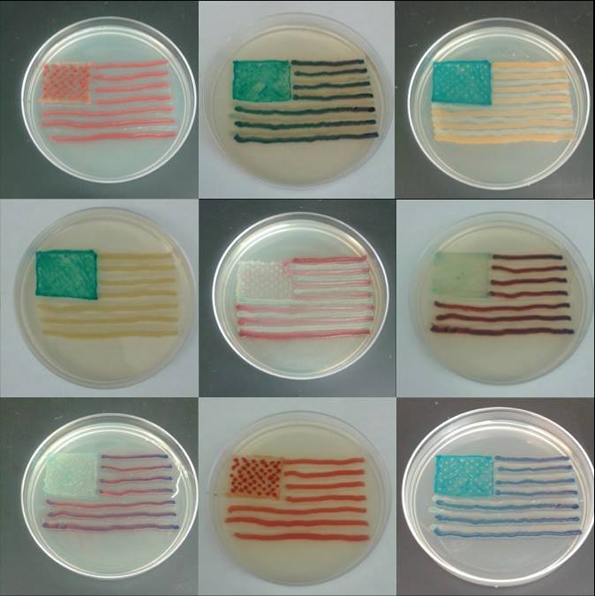 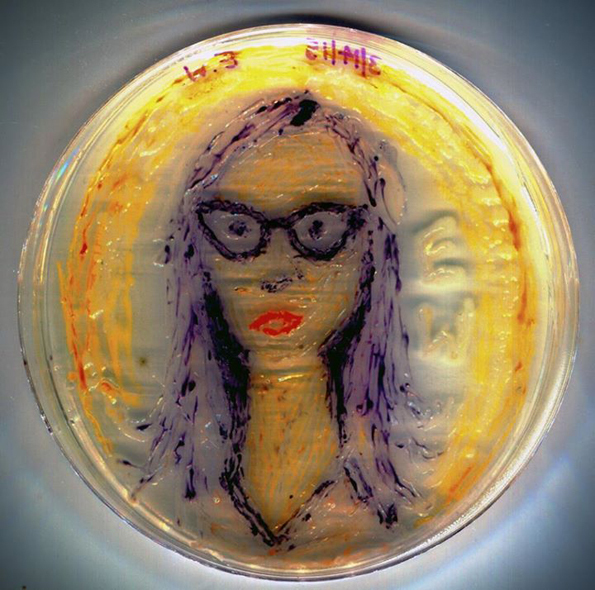 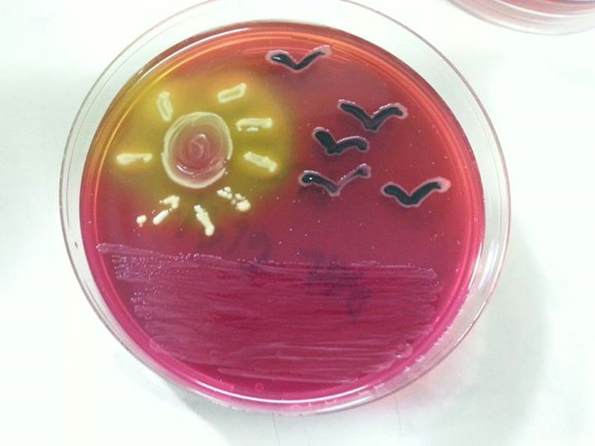 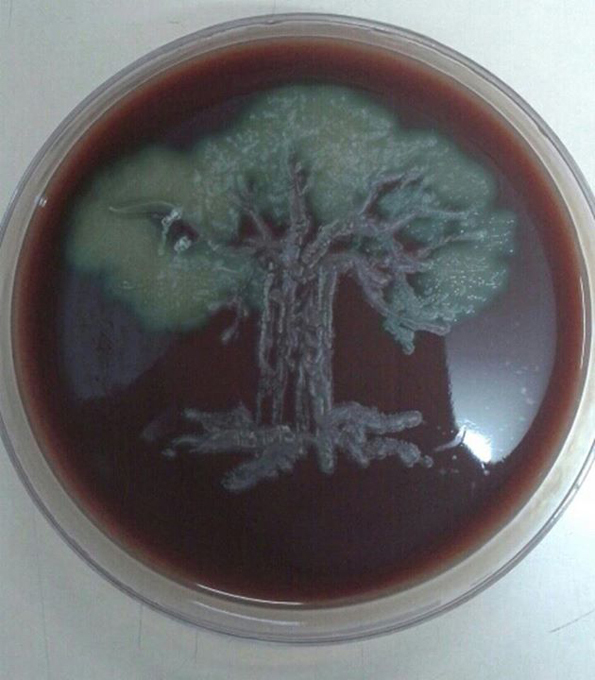 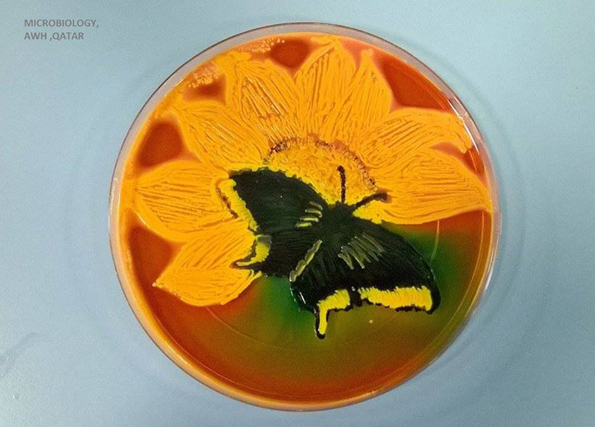 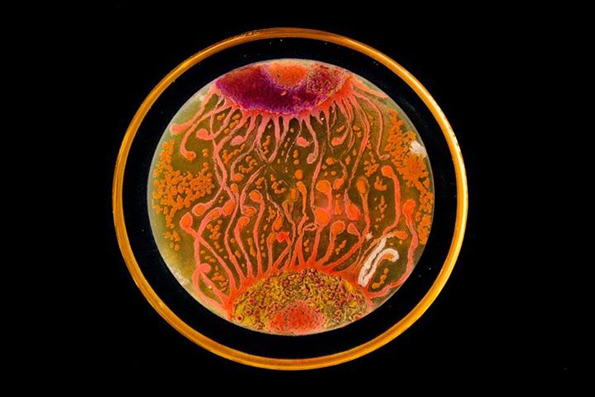 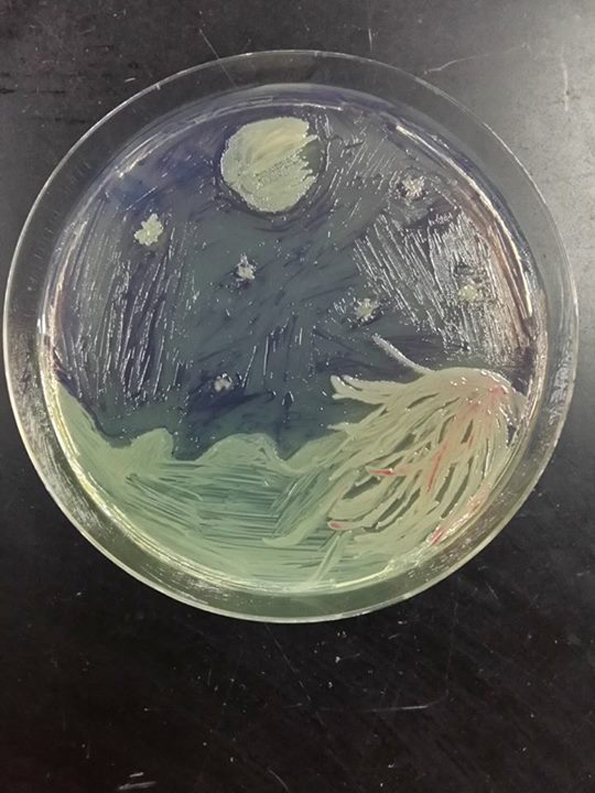 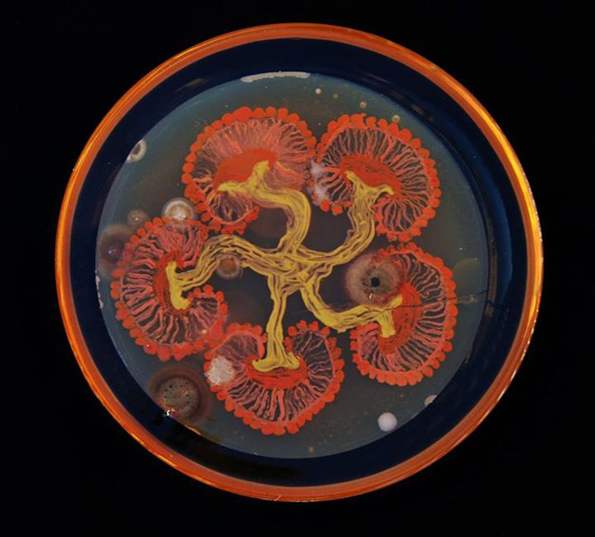 The American Society for Microbiology just wrapped up its 2015 Agar Art contest. 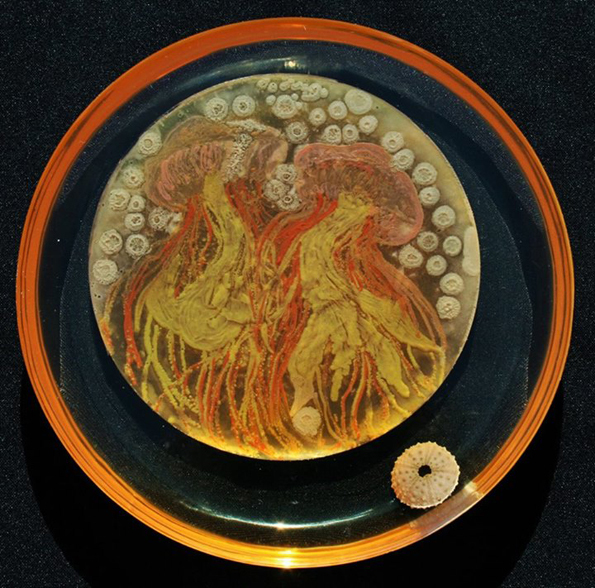 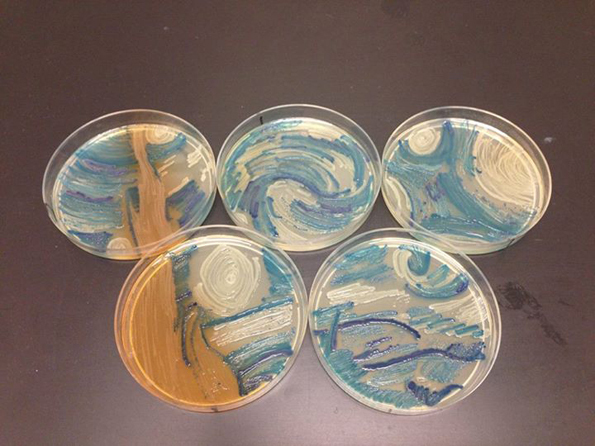 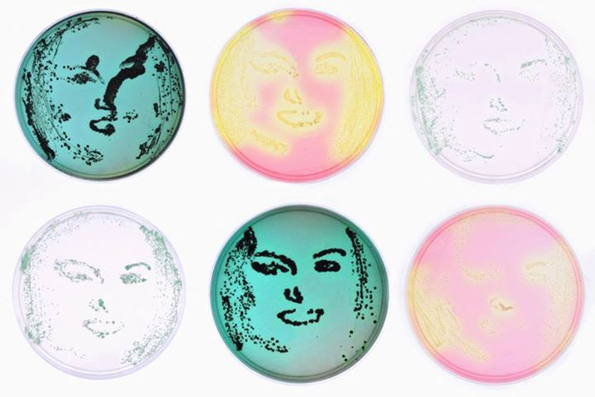 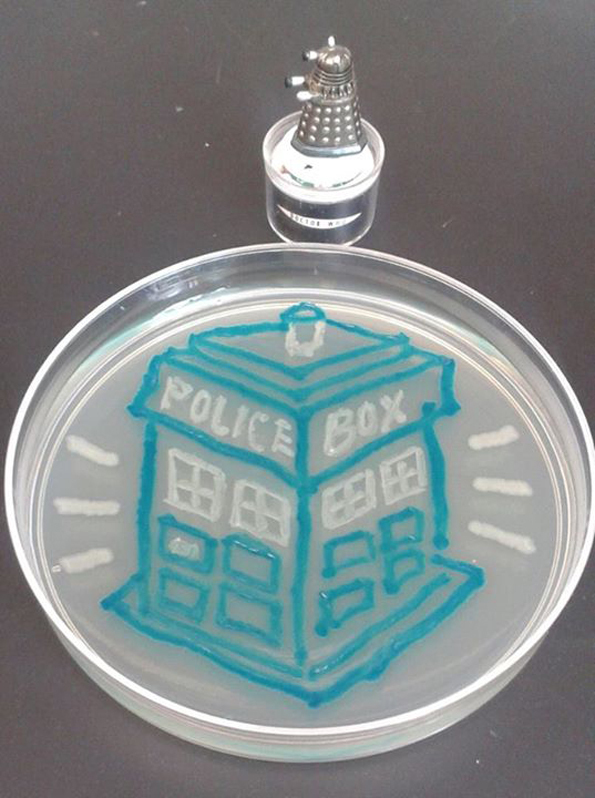 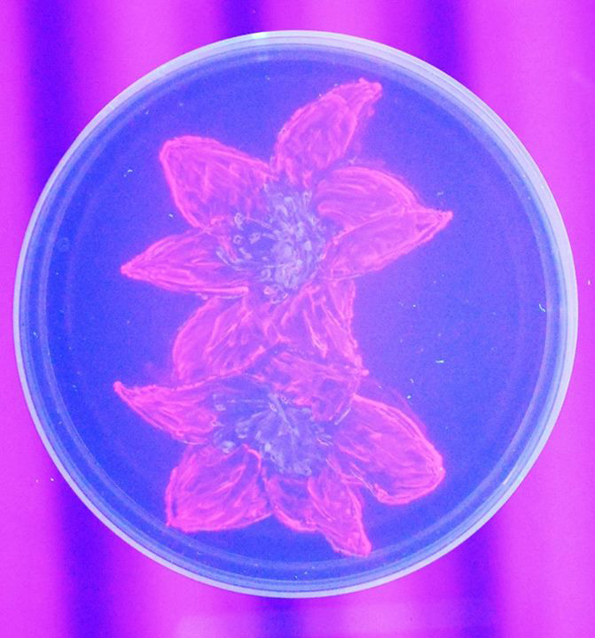 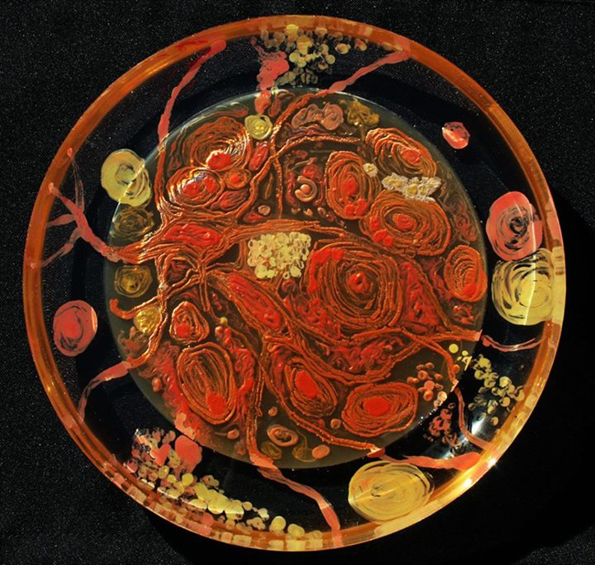 It’s a competition for scientists to create art using bacteria grown in petri dishes. 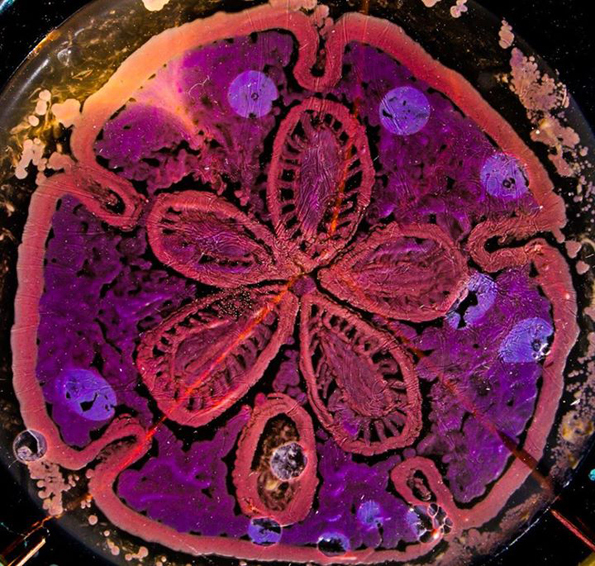 Reminds me of that one time I discovered a half eaten Hot Pocket under my bed. 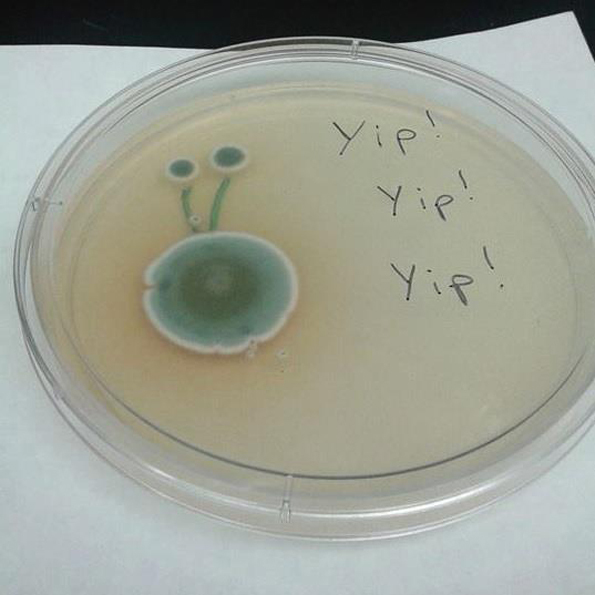 No telling how long he’d been there, but long enough for him to have a fully developed personality. 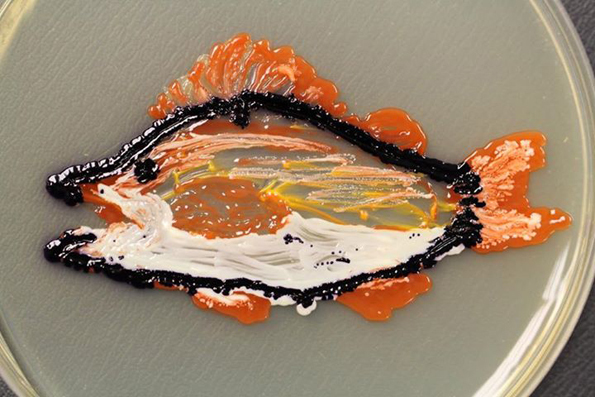 His name’s Terry!